Thank you Lids for sponsoring this post. While this was a sponsored opportunity from Lids, all opinions expressed here are my own. The kids and I make our fair share of appearances here, but you don’t see a whole lot of my husband/their dad, Robbie. Robbie is admittedly not really the “hey look at me!” social media type, and would rather do just about anything than take Instagram selfies or overshare on the internet. But he is often here behind the scenes, taking any photographs that include me in them, working tirelessly on the home projects I share here, and, most importantly, taking care of Essley and Emmett on his own when he’s off the road (often from very early in the morning until bedtime) while I work. With Father’s Day approaching, I thought it was time for me to pay tribute to him here, gush for a minute about what an incredible father he is, and share the special early Father’s Day gift we gave him to thank him for everything he does for our family. As my regular readers know, our family has unique circumstances in terms of everyday life. 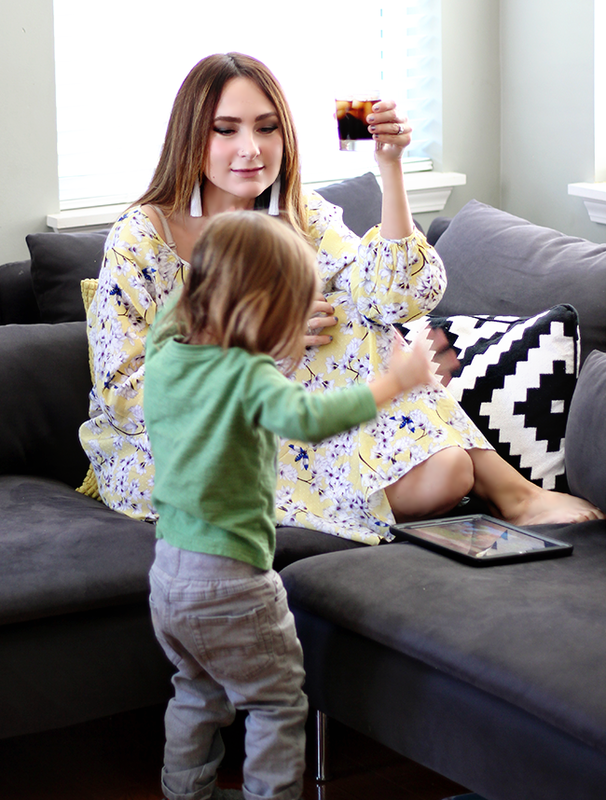 Where most typical families have a parent or parents who work during the week but are home nights and weekends, we often spend the majority of each week (and most weekends) apart. Robbie works in the music industry, and his job stage managing a band keeps him on the road about half the year. I couldn’t ask for a better example for my children in terms of someone who works hard, is great at his job, and lives his dream as a result of pursuing a career that is creatively fulfilling for him. But it’s not always an easy life for the kids, for me, or for him – especially for him. Robbie has to sacrifice a great deal in terms of things that most families might take for granted. He had to go on tour when both children were less than two weeks old, and he missed a lot of “firsts” and milestones for both of them. He sometimes misses holidays and their birthdays, and often has to miss events at school and for their activities. And as I mentioned above, when he is home, he is on full time kids duty while I work long hours to make up for the times I could only work part time while he was away. I get a lot of support from friends and family who acknowledge that I am often single parenting, but the truth is, Robbie is also often single parenting when he is off the road. Sometimes he will work a show until 2 or 3 in the morning, hop on a plane at 6 AM, land at 8 or 9 AM, and I will start working the minute he walks in the door. He drops his bags, chugs a cold brew and steps right into parenting a 2 and 4 year old, on a couple hours of sleep following a 14 hour work day. It’s also very rare that we are able to do things together as a family because one of us is either extreme parenting or extreme working, as we like to jokingly label it. That said, Robbie never complains; instead he demonstrates what it means to be a positive, grateful, proactive parent. He expresses sadness over missing us when he is gone and over not being able to be present for some of the important parts of the kids’ lives, but he does not complain about the long hours he cares for the kids by himself, or about the exhaustion he often feels, or about not being able to do much outside of work or parenting. And even when he’s tired and overworked, he never just goes through the motions of being a parent. When the kids were newborns, he would sometimes spend all night rocking them in a chair so I could get sleep. When our son Emmett was diagnosed with a serious form of epilepsy as a baby and we had to spend time in the hospital, followed by months of dealing with severe side effects from Emmett’s medication, Robbie took turns with me once again holding him through the night and catering to him all day long, all while making sure our daughter Essley received equal attention. Through it all, he kept a smile on his face. Robbie pours all of himself into being a dad, and happily. He dresses up in princess crowns with Essley, watches the same animated musical movies with her over again and again, has endless tea parties with her, creates sidewalk chalk murals with her, and practices her dance routines with her every single day. He does the same puzzle over, and over, and over with Emmett, plays “race” with him on no sleep, and sings and dances to Emmett’s favorite song, “Baby Shark,” on repeat. He gets up early and makes special pancakes in the shapes of all of the kids’ favorite animals. He takes Essley to soccer and gymnastics on the often only two days a week he is home, and cheers her on while simultaneously chasing Emmett throughout the facilities. He makes us delicious dinners almost every night he’s not on the road, and lets the kids help him cook, even when it means doubling the prep time (and the mess). 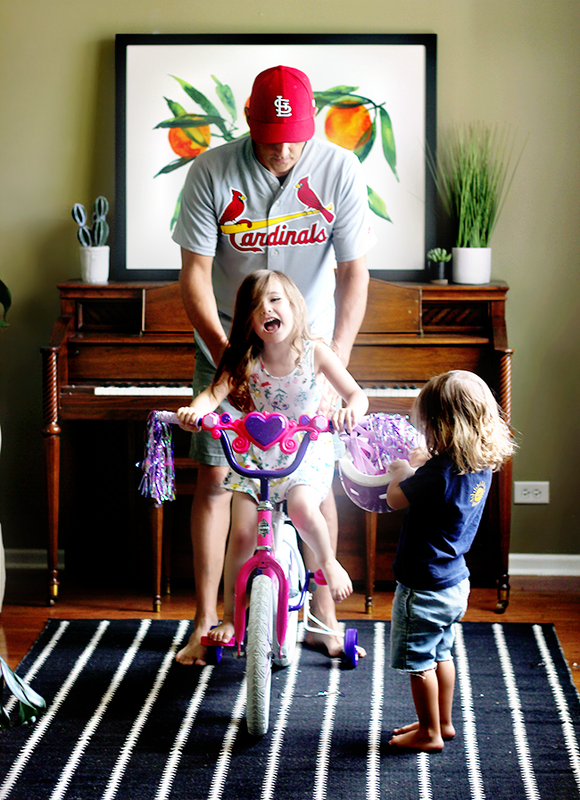 He works tirelessly on projects around the house, and lets the kids “help” with those too. I could go on and on you guys, truly. I feel incredibly lucky that Robbie is the person to help me raise Essley and Emmett. I am very grateful. 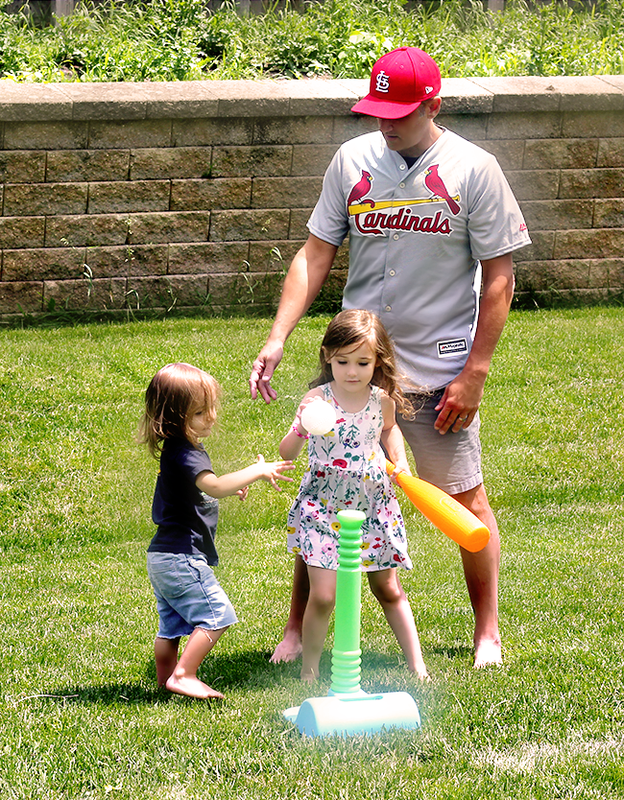 Because of everything Robbie does for our family, and what a wonderful father he is to our kids, we decided we would give him a special Father’s Day gift early this year. This was actually Essley’s idea. Her reasoning was this: “If we give daddy a gift before Father’s Day, he’ll be surprised. And surprises make everything better.” Smart cookie right there! Aside from family, there are two things Robbie loves most in the world, and anyone who knows him could instantly tell you what these two things are: music and baseball. Because he works in the music industry, and is fortunate to have access to lots of hook-ups in terms of music gear, albums, concert tickets, etc., I knew getting him a music-inspired gift would be hard. But getting him a baseball-inspired gift would not only be easy, it would be incredibly appreciated. 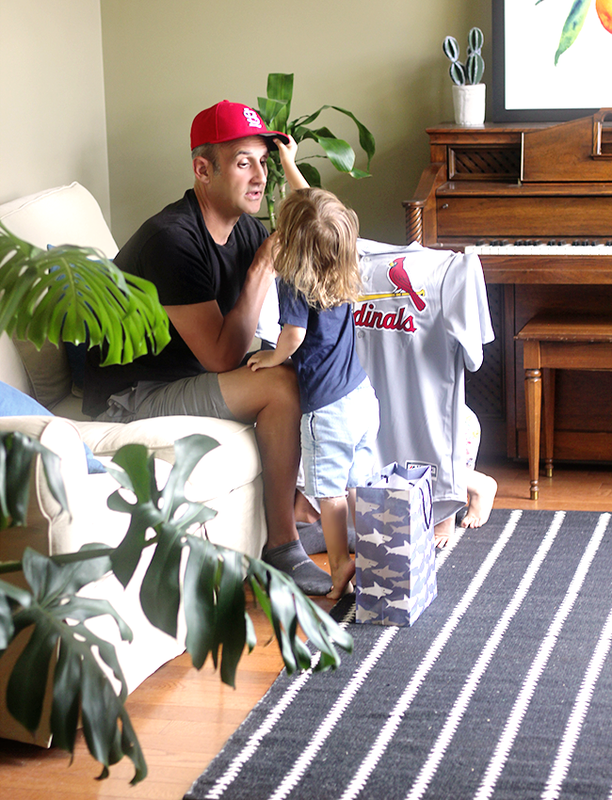 Robbie grew up in St. Louis and is a huge (like, massive) St. Louis Cardinals fan. I knew that Lids carries everything we could ever want in terms of MLB gear, and that Robbie had been dreaming about a jersey for a while, so it was a no brainer for us to do a little bit of secret shopping on the Lids’ website. 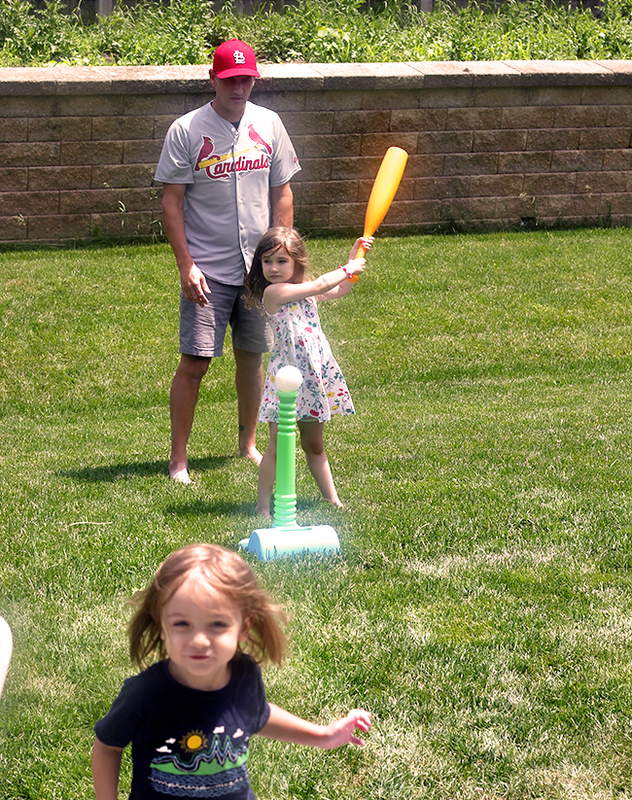 I was in awe at how many truly awesome Father’s Day gift ideas they have! From apparel and hats to outdoor gear to watches to tech and more, they have pretty much anything a sports-loving dad would appreciate. It was tough to narrow down what to get Robbie, but we settled on this St. Louis Cardinals New Era MLB 59FIFTY Cap in red, and this St. Louis Cardinals Yadier Molina Majestic MLB Men’s PlayerJersey in grey. I’m not sure who was more excited for the items to arrive – my 4 year old daughter or me. Robbie has a couple weeks off between tours right now, and on the day he got home, we decided to give him his special early Father’s Day presents. Essley sat Robbie down and proceeded to perform a dance she choreographed for him while Emmett ran in circles belting out a song he’d written about baseball (imagine the words “basebaaaaalll” being loudly screamed over and over, with love), and then presented him with his gifts, which she had expertly enclosed in shark gift bag. I wish you guys could have seen Robbie’s face light up when he saw what we’d gotten him. After hugging the kids and me repeatedly, he put on the jersey and the hat, with a big ol’ grin. It felt pretty great to see him so excited over a gift from us, and to know we’d gotten him something we knew he’d truly cherish. He thanked us over and over, and told us that every time he wore the jersey and baseball cap – here and on the road – he would think about how much he loved us. You can’t get better than that. If you have a special dad in your life and want to give him a gift he’ll truly love this Father’s Day, check out these awesome gift ideas from Lids. In addition to hats, jerseys, and countless other sports based items they offer, they also have the coolest Custom Zone where you can design the perfect hat, and a great loyalty program called Access Pass, where you can earn points toward rewards and more. They also have an amazing special going on right now: 30% off orders of $ 40+ from June 7th through June 9th. Woohoo! Okay, your turn! Tell me your favorite thing about a dad in your life, or why they deserve a special gift this Father’s Day. I’d love to know! How sweet is this? No word on whether they are giving her dog cookies or human cookies. Thanks to Blowing Facts for the picture! Until next time, Good day, and good dog! Air Bud in the NBA? I don’t follow the NBA too closely, but since I live near Cleveland, it’s hard not to be swept up in the excitement. I love that Air Bud wants to play for the Cavs! Until next time, Good day, and good dog! I could start this post with a full paragraph full of “busy mom” clichés focused on how my house is a disaster and my kids are loud and messy and how by the time I’m done with my work day and taking care of them I can barely stand up, but I’ll just stop right there. I mean, many of you are parents and you live this (and even if you’re not, you’re probably no stranger to the turbulent, exhausting nature of day to day life as an adult). 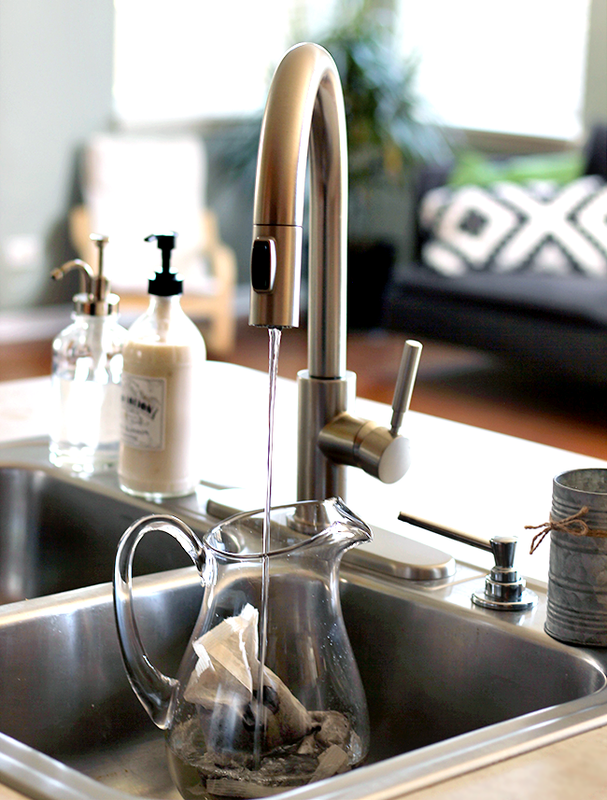 So, instead of going into detail on how things are nuts around here, I’ll just get right to the point: there are small, easy ways to make our chaotic weeks simpler and more enjoyable. This is something I’ve been working toward a lot this year. I used to get incredibly stressed on Sunday evenings, because I’d suddenly feel overwhelmed by the coming week and how much I knew I’d have on my plate. So I started doing a few tiny things differently – some on Sundays and some throughout the week – to ease my load. And you know what? As easy as they are, they’ve added up. Today I’m going to share what I’ve been doing. 1. Straighten up your space. I grew up in a very neat, clean, organized home, but my sister and I always joke that we just didn’t get that gene. I am a slob by nature. I have two children under four who enjoy ripping through the house and basically destroying everything in sight. My space is always messy. And I despise cleaning. But every Sunday, I declutter the big stuff and straighten up the best I can. If I have the time and energy, I’ll do a real clean too, but a decluttering can be enough. You don’t even have to do it all at once – you can break it up throughout the day. The rest of the week is busy and it will make the day to day cleaning much less daunting if you start the week with less clutter and mess. 2. Meal plan – loosely. Let me start out by saying that I am not a traditional meal planner. I’m not one of those organized people (though I have mad respect for those who are) with a calendar full of dinners for the week who grocery shops for all the right staples based on this, and then preps everything into neat containers on Sunday afternoons. My meal planning is much more, um, wild and free than this, but it works for me. What I do is go to the grocery store on the weekends and buy food that my family likes and is (hopefully) reasonably healthy, then together we come up with some dinners we’d like to make and eat throughout the week. We don’t set them to certain days or prep in advance (because who knows what we’re going to want on any specific day, man? ), but in comparison to what we used to do – wait until 5 PM each night to figure out dinner then frantically run to the store or order carry-out – it makes the week feel much simpler and less stressful. 3. 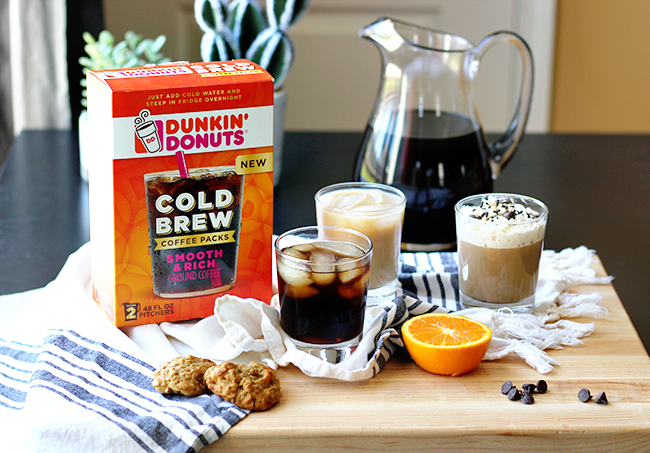 Prepare coffee for the week in 3 simple steps with Dunkin’ Donuts Cold Brew. As you can probably tell by the photos throughout this post, this is my favorite “tip” for how to make your week simpler. 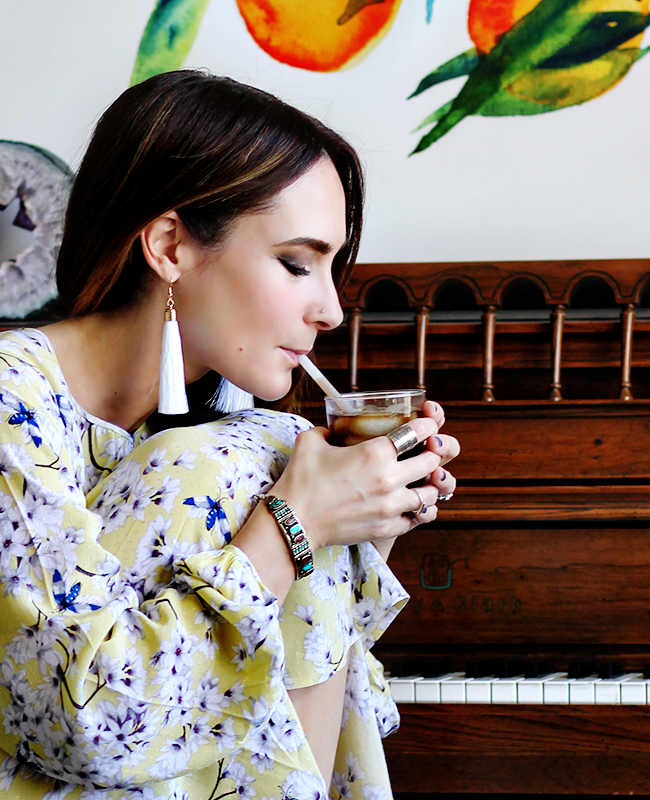 My friends have a long standing joke about me and how I would live on coffee alone if I could, and honestly, it’s sort of true. I love my coffee with a passion, but the process of making a pot of it every morning and either stopping work and/or loading the kids into the car mid-afternoon to go to the coffee shop adds up to a lot of time and money that could be spent on other things. 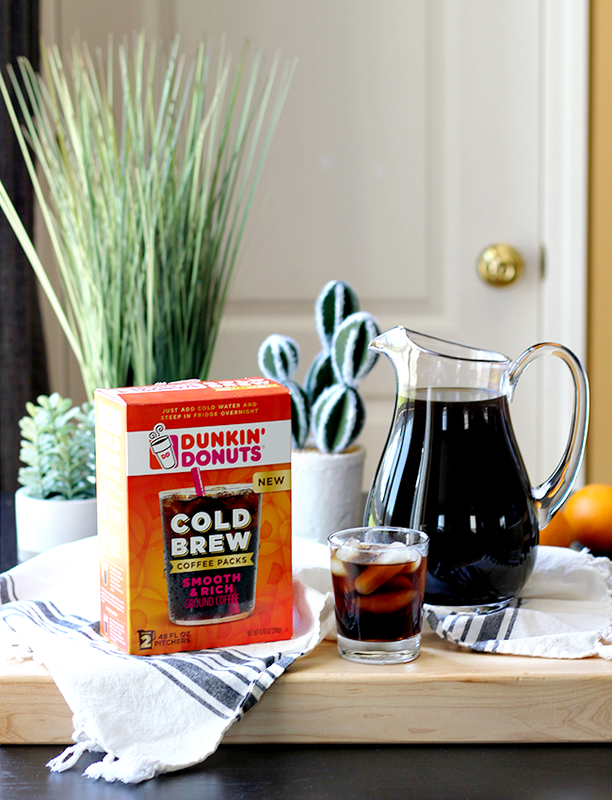 I’ve become smitten with cold brew over the last year, so when I heard Dunkin’ Donuts had come out with cold brew you could make and enjoy right at home, I headed straight to Walmart to grab a box! 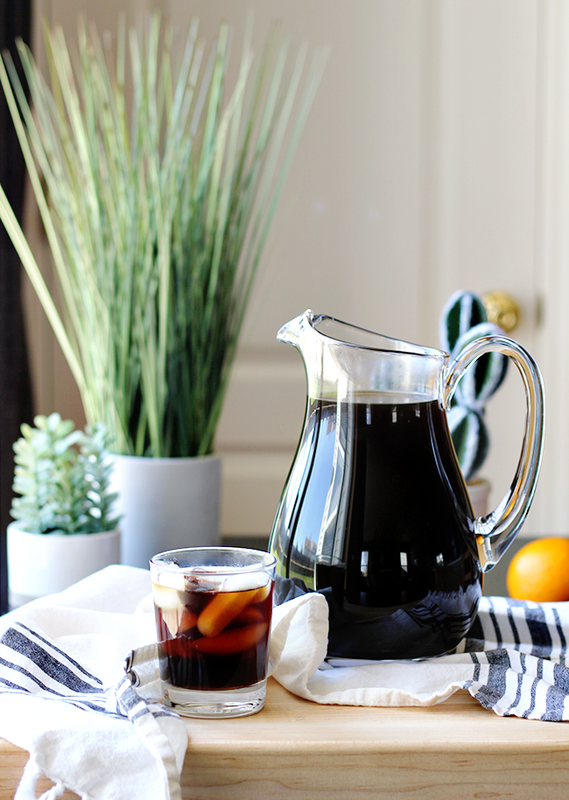 I was admittedly a little skeptical at first, because even though I know Dunkin’ Donuts makes some of the best coffee around, cold brew made at home with just water and a pitcher sounded too good to be true. But you guys – I was so wrong. It is so delicious. My husband, who is a cold brew connoisseur, agrees. 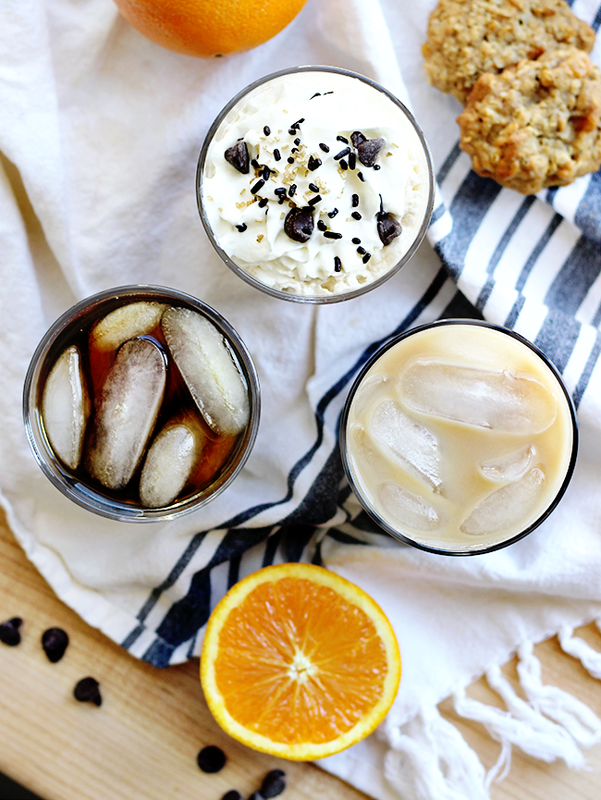 It’s so rich, smooth, and flavorful; but best of all, with one box, you can make your coffee for an entire week in just three easy steps: drop, steep, and love. 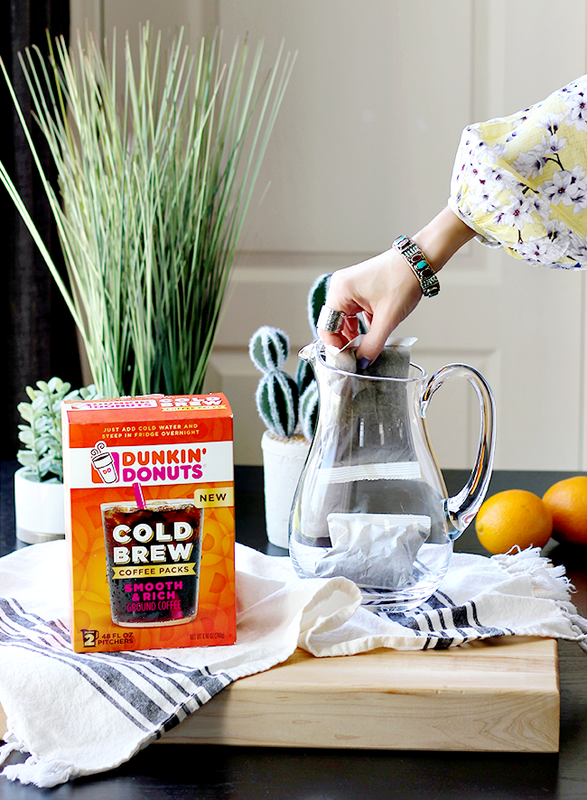 Now there is no early morning coffee making or mid-day coffee shop runs, because every Sunday I make myself some Dunkin’ Donuts Cold Brew and keep it in the fridge for the week (Cold Brew packets make two full pitchers!) And it’s easy to experience a new taste everyday if I want to change things up. Sometimes I drink it black with some ice, some days I add a squeeze or orange or a splash of milk, and sometimes when I want a treat I heat it up and top it with whip cream, sprinkles, and chocolate chips. It’s pretty awesome. 5. Take a little me time. I know, I know, I’m always referencing self care and “a few minutes of me time,” but for real, take some down time for yourself on Sunday. 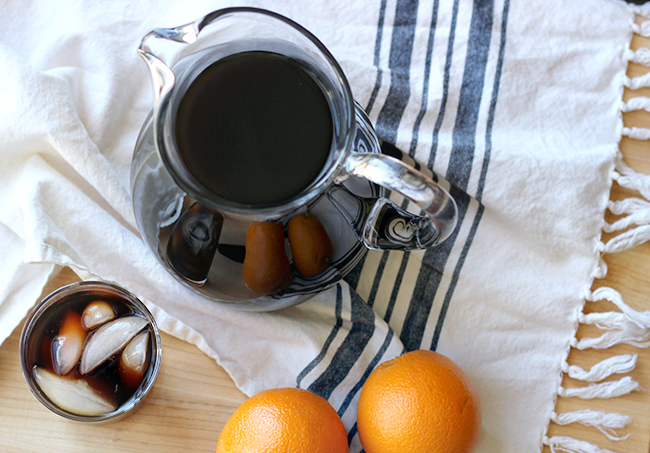 It will make the entire rest of your week simpler and more enjoyable. If you have little kids, I know this can be challenging (trust me, I can’t even go to the bathroom without hearing “mommy where on you?” on repeat the entire time I’m in there). But even if it means just taking 20 minutes to sit alone and read or listen to music after they go to bed Sunday night, this small step can be incredibly powerful. We all need to recharge in order to be at our best. And that, my friends, is how I make my weeks simpler and more enjoyable. If you have any tips I might have missed, I’d love to hear them. 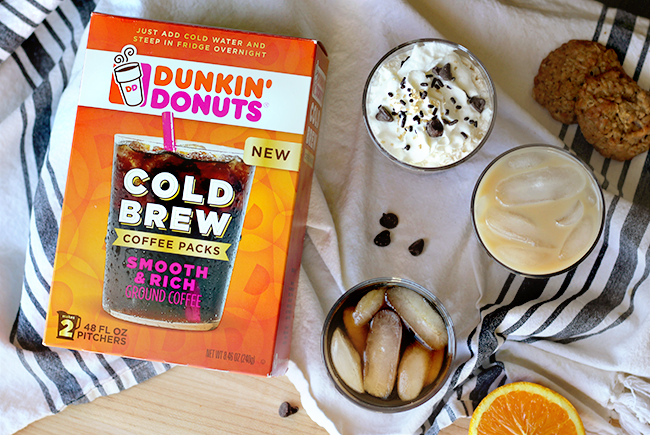 Also, have you tried Dunkin’ Donuts Cold Brew packets yet? Feral horses run in the wiry grass of Don Blankenship’s prairies. Once real mountains stood here, all crowned in ash and oak and hickory, but beneath them was a black rock. Over the centuries, men came and dug at the earth and sweated and died and then the bulldozers came and the mountains were gone. The state demanded that the coal operators do something to reclaim the land, so they planted some cheap grass and a couple of pine trees. But the land was forever changed. Over the years, the jobs all went away, and those who had a few pleasure horses took them to the new grasslands and set them free. Better to be “wild horses” on the range than dog food was the simple logic. And the stallions round their mares in this new steppeland. They nicker and fight the wars of that ancient Equus lambei, which a few romantics like to hope gives some sort of license to the native status of the modern horse on this continent. At the same time, the state of West Virginia is trying its hand at restoring elk to these very same prairie lands. The elk were natives of the Eastern forests, and the ones being turned out onto these ranges are from Kentucky and Arizona. And those of Kentucky are still of the Rocky Mountain form of elk, not the long gone Eastern kind, which may now exist only in the muddled genetics of some New Zealand ranched herds. The elk need the grass too, and worries are the horses will make the range too bare. And the elk will not make a comeback. But the truth of the matter is neither species is native to land that never existed before. The glaciers never made it this far south, and the steepness of the terrain before the dozers came is testament to the antiquity of these mountains. They once stood like the Rockies or the Himalayas, but the millennia of erosion wore them down until the coal operators showed up to cut down their remnant. The glaciers never smoothed out the mountains, but human greed certainly did. Meanwhile, Don Blankenship is back in politics. He is a former coal operator, a greedy, nasty one at that, the kind that was once excoriated in all those old union songs, but now as the mines employ fewer and fewer workers and UMWA is all broken and busted, he plays the working class victim. All railroaded by “union bosses” and Obama, he didn’t do anything wrong, he tells the gullible. He’s thrown his hat into the US Senate race. His ads call all his opponents liberals and abortion lovers. He plays up his conspiracy theory about Obama having it out for him. He feigns tears about Indiana bats that are being killed by windmills. He says he’ll drain the swamp. Maybe, he will, but I have the idea that he might just fill it up with coal slurry. That’s what happened to poor Martin County, Kentucky. Blankenship was CEO when his company’s slurry impoundment overflowed and filled up the Tug Fork River. He sells the false hope that if you just get rid of a few more environmental and labor regulations, the coal industry will come roaring back. He also says that if we just build Old Man Trump’s wall on the Mexican border, we won’t have any more problems with drugs. After all, the drug problem must surely come from brown foreigners, and not the pharmaceutical industry and those totally unscrupulous doctors who prescribed opioids for every little discomfort. The politics he offers are the politics of the apocalypse. In land where no real hope can be found, a little false hope will do. And the miners lose their jobs and their homes and their pleasure horses join the ranks of the feral bands. The Bible talks about the four horsemen of the apocalypse, but in West Virginia, the hoofbeats of that sound the impending doom have no riders at all. They are the roving bands of the abandoned, left out to sort out a new existence on Don Blankeship’s prairies. The snakeoil of politicians rings out on the airwaves, and every year, new horses get turned out, and the mares drop their feral foals. The coal company’s rangeland gets denuded a little bit more, and the elk might not stand much of a chance. In this apocalypse, death will come. Sooner or later, the horses will starve on those pastures. A few good souls might get some of them adopted, but most will either starve or wind up shot. Already, coal towns are advertising their “wild horses” as an attraction draw tourism. It’s a more benign falsehood than the one Blankenship is offering. But it is not so benign for the horses or the coming elk. For them, the apocalypse is coming. They cannot know it, for if they did, they would run. And their hoofbeats would ring out the warning of our impending doom. Can You Break In to Take a Dog Out of a Hot Car?